A recent Penn State study published in the Nature Energy journal reports that it might be possible to produce significantly safer, faster charging, and strikingly durable lithium metal batteries. The team created a three-dimensional, cross-linked polymer sponge that binds to the metal plating of a battery anode. This project aims to develop the next generation of metal batteries. Lithium metal has been tried in batteries for decades, but there are some fundamental issues that inhibit their advancement. Donghai Wang, Professor of Mechanical Engineering and Study Principal Investigator, Penn State. When the lithium ion (Li) batteries are subjected to additional strain, such as in the fast-charging methods preferred in electrical vehicles, they are susceptible to dendritic growth—needle-like formations—that can decrease cycle life and pose potential safety risks such as explosions or fires. “Our approach was to use a polymer on the interface of Li metal,” stated Wang. The material behaves like a porous sponge that promotes ion transfer as well as limits deterioration. “This allowed the metal plating to be free of dendrites, even at low temperatures and fast charge conditions,” he stated. Wang, who is an affiliated faculty member at the Penn State Institutes of Energy and the Environment, is also a member of the Battery Energy and Storage Technology Center, a leading research institute in energy storage. This project is an important component of both IEE and the BEST Center’s mission, and it brought together researchers from various fields within the University. The collaboration in this cohort really helped drive this paper forward. It allowed us to examine the different aspects of this problem, from materials science, chemical engineering, chemistry, and mechanical engineering perspectives. In this joint study, the team headed by Long-Qing Chen in the Department of Materials Science and Engineering carried out modeling work to gain insights into the improvement of Li metal anodes. The team states that the practical applications of this study could allow more robust and stable metal battery technologies essential to daily life. In an electric vehicle, it could increase the range of a drive before needing a charge by hundreds of miles. It could also give smartphones a longer battery life. 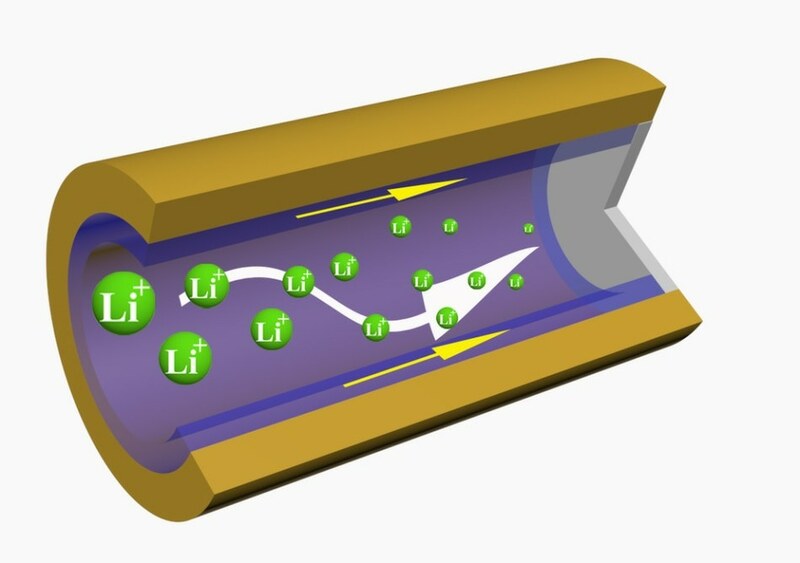 In the future, the researchers will investigate the practical applications in a large-format battery cell to establish its feasibility and benefits. Penn State researchers Qingquan Huang and Guoxing Li, postdoctoral fellows in mechanical engineering; Zhe Liu, graduate student in materials science and engineering; Yue Gao, graduate student in chemistry; Michael Regula, graduate student in chemical engineering; and Daiwei Wang, graduate student in mechanical engineering, also contributed to the study. This study was funded by the U.S. Department of Energy.